The RAF held its annual photographic competition last month. 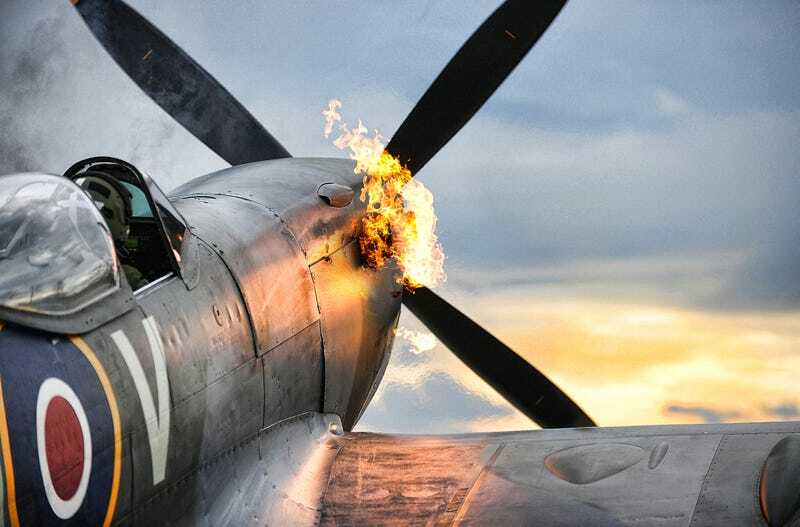 This photo of an RAF Spitfire spitting fire was taken by SAC Graham Taylor, the RAF Photographer of the Year. Head over to the Ministry of Defence website for more photos, as well as a retina melting 8 MB version of this photo. Also by SAC Taylor is this long exposure of an Eurofighter Typhoon taken in the Middle East. This image of a Tornado over London became a PR photo of the year. It was taken by SAC Andy Masson.